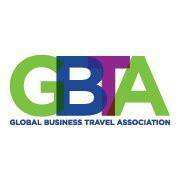 The Global Business Travel Association (GBTA), the voice of the global business travel industry, today unveiled another Center Stage panel for the 50th anniversary of GBTA Convention, held August 11-15, 2018 in San Diego. This session is made possible by Festive Road. Is Bigger Better? : The Impact of Industry Consolidation on Business Travel will focus on the impact of industry consolidation in each industry sector represented and provide insight into what the future holds for the overall business travel industry at large.